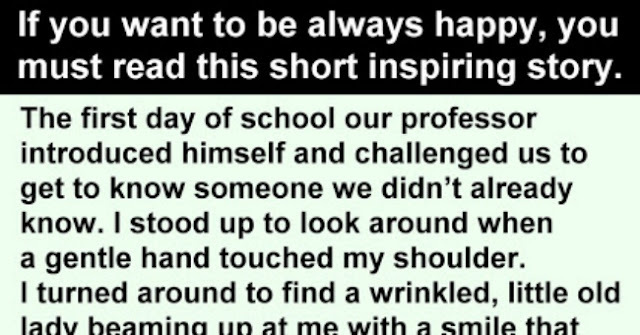 Home Unlabelled If You Want To Be Always Happy In Your Life, You Must Read This Short Inspiring Story! 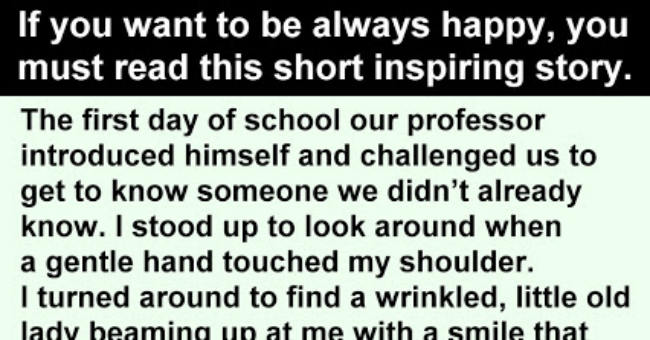 If You Want To Be Always Happy In Your Life, You Must Read This Short Inspiring Story! She said, “Hi, handsome. My name is Rose. I’m eighty-seven years old. Can I give you a hug?” I laughed and enthusiastically responded, “Of course you may!” and she gave me a giant squeeze. After class we walked to the student union building and share a chocolate milkshake. We became instant friends. Every day for the next three months we would leave class together and talk nonstop. I was always mesmerized listening to this “time machine” as she shared her wisdom and experience with me. She concluded her speech by courageously singing The Rose. She challenged each of us to study the lyrics and live them out in our daily lives. At the years end Rose finished the college degree she had begun all those years ago. Laugh and find humor everyday . Don’t let change overwhelm you, let change help you find opportunities you may have never seen! If you like this Wonderful Inspiring Story, please share it with others.